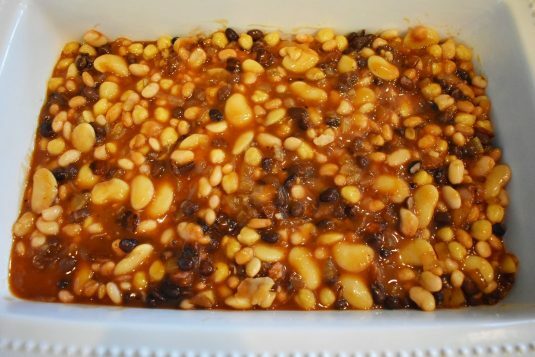 Rule #58: It ain’t a BBQ without beans, y’all. 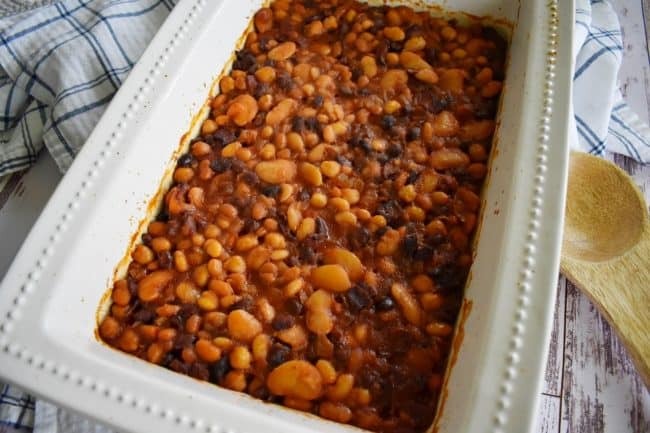 I genuinely cannot remember an outdoor, summer BBQ where beans weren’t on the menu. 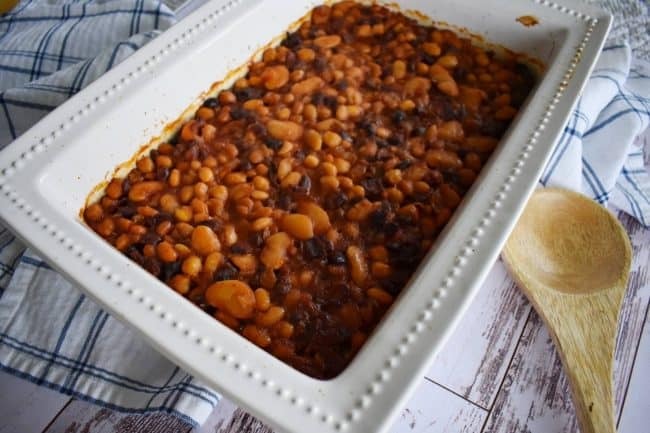 I feel like it’s almost a sin down here in the south to have an event where a grill is involved and not have some kind of bean dish. Is that your experience, too? Or are we just major bean-loving freaks? Either way… you’ll want to bring these to your next BBQ or grilling party. They’re always a crowd pleaser, and they keep well so you can serve them long after baking them. 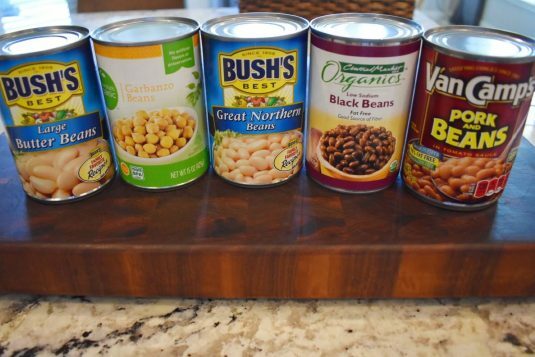 Make sure you rinse + drain all the beans (minus the Pork and Beans) very well to get rid of all that canned coating. Then, you sauté some bacon until it’s nice and crispy. What recipe could possibly go wrong when there’s bacon involved? If you’re wondering how to get rid of that extra bacon fat, I always use this old trick. 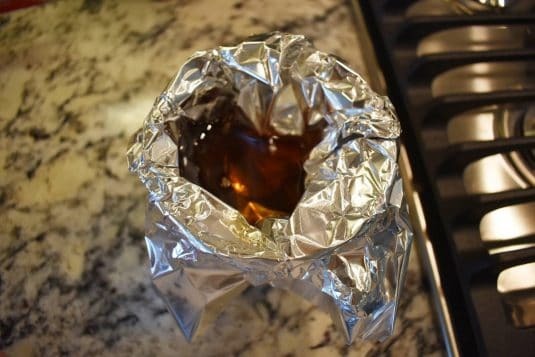 Line a coffee mug with some foil, pour in that extra grease, and let it cool on the counter. Then all you have to do is ball up the foil and toss it! No mess, no fuss, no broken garbage disposal because you still poured the grease down the drain after your mom told you not to and now you’re in major trouble. Just me? Make sure you reserve about 1 tbs. of the bacon fat in the pan so you can sauté the onion. Mmm… onions cooked in bacon grease. Life is good, y’all. 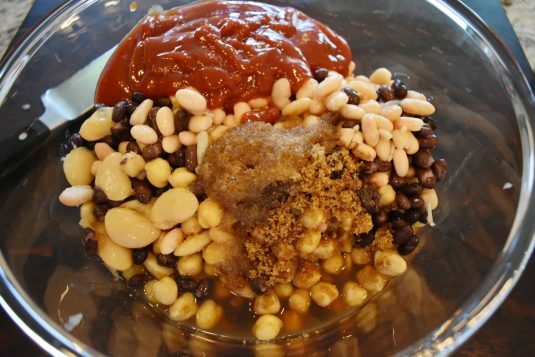 Meanwhile, mix the drained beans, Pork and Beans, brown sugar, ketchup, water, and vinegar in a large bowl. Toss in the cooked bacon and onion. Give it a good ole stir. 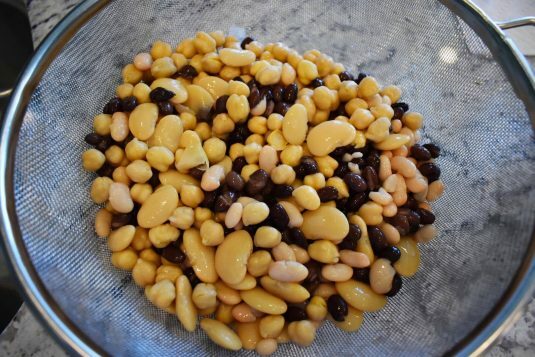 Pour it into a greased 13×9 baking dish. Cover with foil and bake at 350 for 1 hour. Remove the foil and bake another 30 minutes. Then, cover with foil and keep in the oven until you’re ready to serve. I actually cover mine with foil, then throw it in something like this and take it to whatever awesome BBQ we’re headed to. The last time we brought this dish, it stayed warm and delicious in the insulated carrier for over 3 hours! 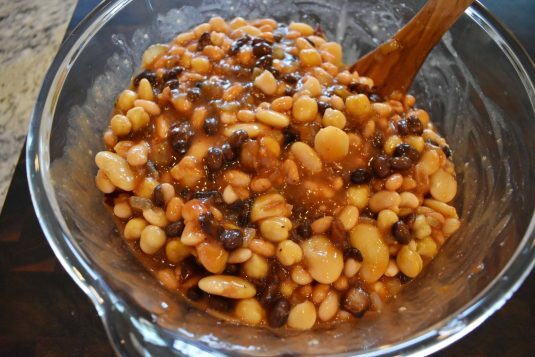 Hello, my little baked bean batch of summer heaven. Bring on the grill! 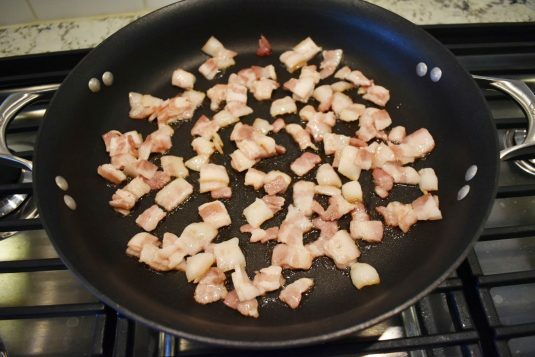 Cook bacon in a large skillet or Dutch oven over medium-high heat until crisp (about 8 minutes). 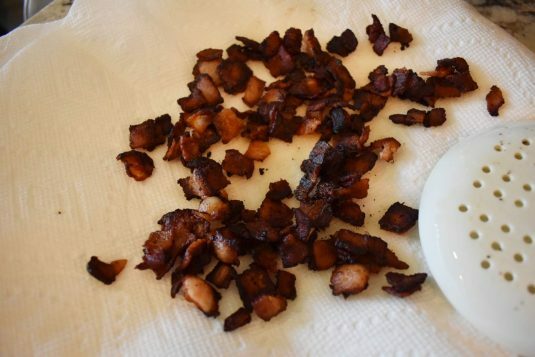 Remove bacon to a plate lined with paper towel to drain. Reserve 1 tbs. drippings. 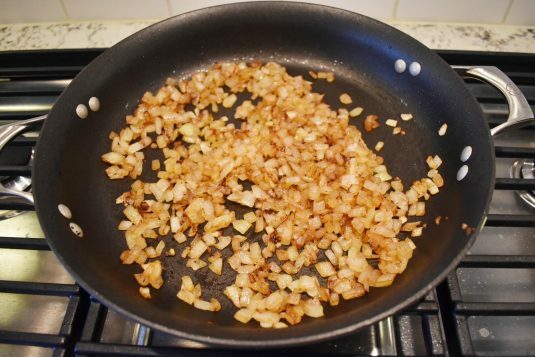 Add diced onion to skillet and sauté in bacon fat until softened (about 8 minutes). Allow onion to cool slightly. 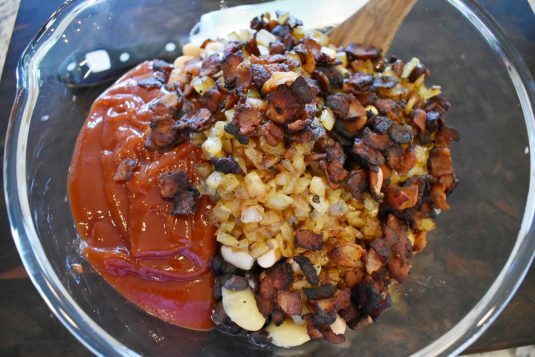 Combine bacon, onion, beans, ketchup, brown sugar, water, and cider vinegar in a large bowl. Stir until combined. 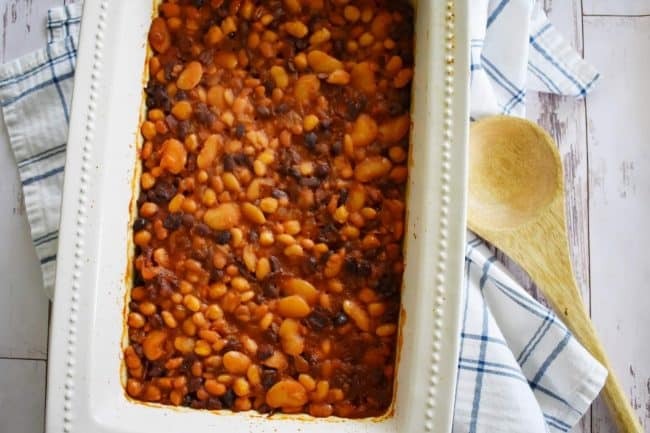 Pour into a 13- x 9-inch baking dish coated with cooking spray. Cover with foil and bake at 350 for 1 hour; uncover and bake 30 more minutes. Remove from oven, cover with foil, and keep warm until time to serve.